“Wait,” I hear you say. “Why would MTV make a 50s-style monster movie in the first place?” That is a fine question, and all I can say is that they should not have. My guess is that it’s because MTV is worked into the very concept, although in a way that doesn’t make them look very good. High schooler Jen (Chelan Simmons) entered all of her classmates into an MTV contest, and the winner was her brother Josh (Daniel Letterle). His prize is a trip to an island with all of his class (and sister) to a Carmen Electra concert. 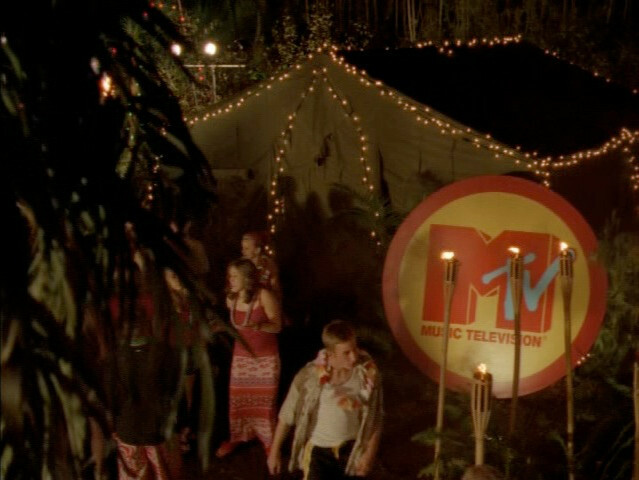 All of the MTV personnel are portrayed as shallow and grasping, which is certainly a choice, and nobody associated with the contest or concert bothered to find out that the island is inhabited by giant monsters. Remember, MTV produced this. To his surprise, Josh hits it off with Carmen (Carmen Electra). When she is abducted by a giant queen ant during the concert, he leads the effort to rescue her. He enlists his friends, sister, ex-girlfriend Maddy (Mary Elizabeth Winstead), her new boyfriend, Carmen’s bodyguard, and an aspiring veejay with cameraman to document the search. Again, this is sanctioned by an MTV producer. 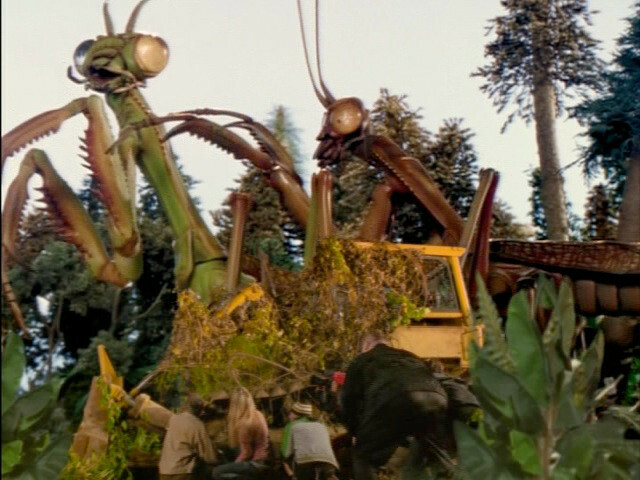 Along the way, they encounter giant insects, a fish man, and Dr. Harryhausen (Adam West). Get it? Harryhausen? Such clever scamps. If you don’t love Adam West, you are a wrong person. Monster Island was directed and co-written by Jack Perez. If you don’t know who that is, he’s the writer and director of the intentionally stupid Mega Shark vs. Giant Octopus . Co-writer Adam Glass, on the other hand, has since been a writer and producer on a few long-running shows. I know who my money’s on for providing the few semblances of good dialog. 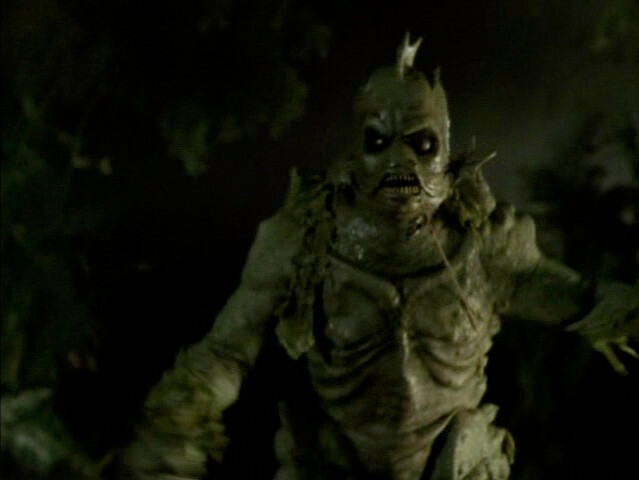 Bruce the Gill Man provides some much needed amusement. There are, however, two things strongly in the movie’s favor. The first is Mary Elizabeth Winstead, in one of her early lead roles. An actress since her teens, she delivers a performance that’s out of place here for its actual quality. While everybody else is giving a passable TV-movie-for-kids performance, Winstead seems to be in a much better — albeit parallel— film. Adam West is Adam West, which is exactly what you want and expect. Winstead pays some serious dues in this schlock. The other credit I must give the movie is to the effects crew, especially Bowes Production, Inc. for the terrific stop motion work. While I’ll always enjoy seeing actors dodge oversized prop mandibles, I’m a sucker for stop-motion. The design and execution is good stuff here, and I wish it blended in better with the models and live-action footage. It looks like separate crews did their things without much interaction and someone clumsily jammed them into the same scenes. The rescue party hides while the preying mantises mate. This is the level of humor in the movie. 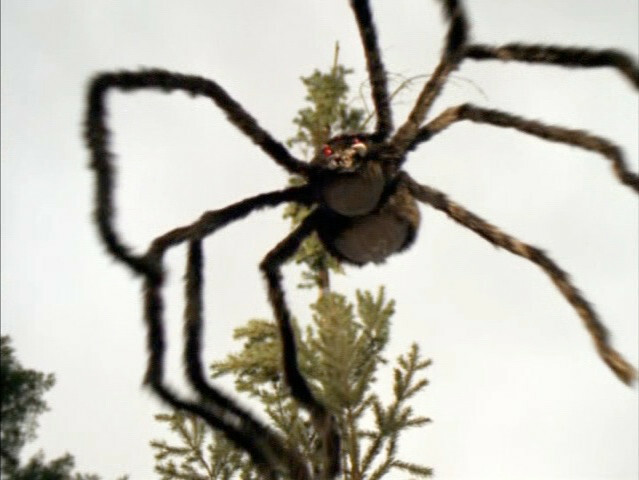 I also wish that even a fraction of the effort put into the other critters had been directed to the giant spider. It’s in maybe two seconds of footage, and there’s a very good reason for that. It looks like something you would find at a home renovation megastore for outside Halloween decorating. It’s a ridiculous stationary prop that they lower quickly on a wire and move quickly past. The embarrassment is so palpable that I suspect the scene only stayed in because it explains the later absence of a character. I bet they returned it for a refund after shooting. 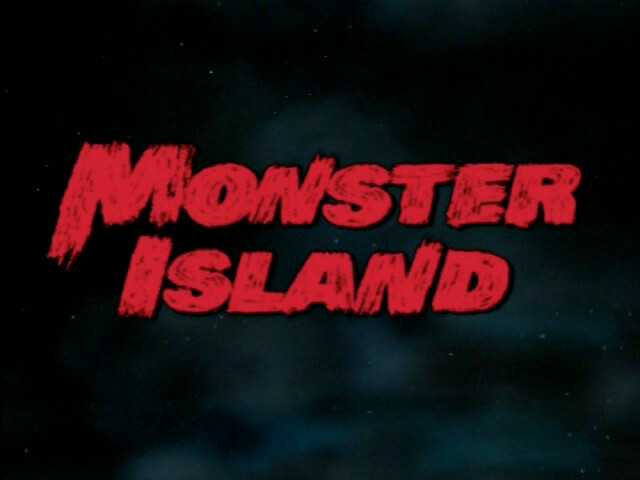 I really can’t recommend Monster Island . It occupies that awkward space for movies that are not good but not interestingly bad. I’m sure it has a cult following in the tens of ones, but it’s not got a lot going for it. 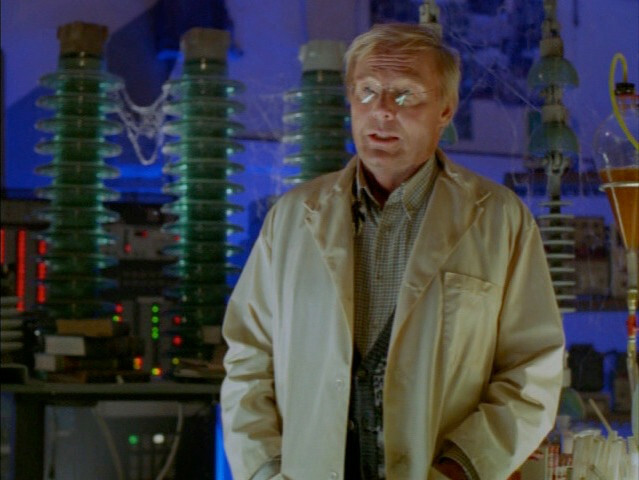 Fans of Mary Elizabeth Winstead or Adam West may be curious, and to them I say “it’s a trap”. The only way you’ll truly enjoy this is if you’re the sort of person who looks forward to Sharknado sequels. If that’s you, I’m not judging. I just won’t be coming to your movie night. I have my own terrible movies to watch.